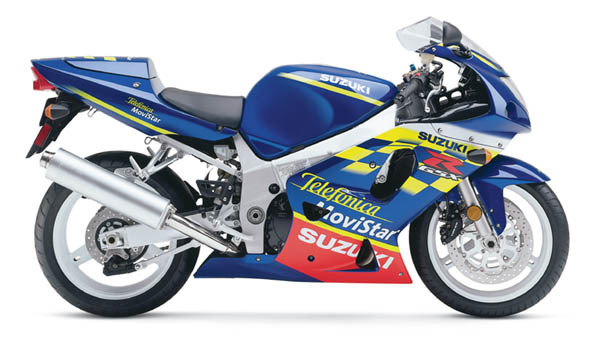 Limited edition version of the GSX-R600 with special paint and graphics from Suzuki's world championship winning RGV500 Grand Prix bike. 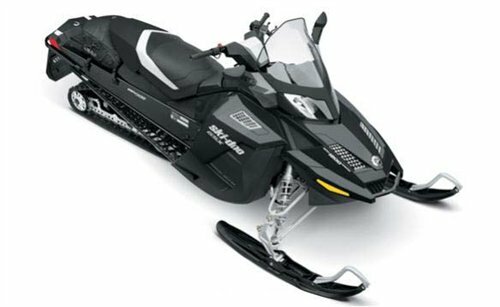 Compact & lightweight 4-stroke, 4-cylinder, liquid-cooled engine is lightweight and compact. Cylinder head features a narrow 28 included valve angle (13 intake, 15 exhaust), creating a more compact combustion chamber, higher compression ratio and a straighter intake tract for improved power. New-generation fuel injection system with 16-bit ECM for quick processing speed, and detailed mapping for high fuel efficiency and smooth throttle response. Throttle body design positions the injectors at a steep 60 angle for an optimum fuel spray pattern and fuel atomization, increased power and sharp throttle response. Suzuki Dual Throttle Valve System, (SDTV), maintains more accurate air velocity in the intake tract for smooth low-to-mid rpm throttle response and improved engine torque. Specially shaped ram-air intake ducts feed a large 8 liter airbox and flat-panel air filter for optimum intake airflow. One-piece cylinder block and upper crankcase section form a strong, lightweight structure that eliminates the need for external oil lines to the cylinder head. Durable SCEM-plated cylinders house lightweight forged pistons with low-tension rings to reduce friction. Lightweight stainless steel 4-into-2-into-1 exhaust system with bolt-on aluminum muffler. Large radiator and aluminum oil cooler, both with high cooling capacity. Close-ratio 6-speed transmission and high capacity coil spring-type clutch. Additional weight reduction through small diameter crankshaft journals, lightweight conrods, camshafts and narrow diameter valve stems. Lightweight magnesium valve cover, magneto cover, drive sprocket cover, clutch cover and starter clutch cover. Aerodynamic bodywork features reduced frontal area, compact headlight/taillight and turnsignals, plus a small lightweight tail section. Compact instrument cluster features a step-motor-driven analog tach. and digital speedometer - also includes LCD odometer-tripmeters, coolant temp., clock and EFI diagnostics. Frame geometry and swingarm length are designed for more forward weight distribution for quick turning ability, rear wheel traction and straight-line tracking - frame is lightweight and compact for optimum balance between rigidity & weight. Cartridge-type front forks with 43mm inner tubes and fully adjustable damping and spring preload. Fully adjustable piggy-back shock absorber features an aluminum body and heat compensation system for more consistent damping performance. Lightweight 4-piston front brake calipers with aluminum-alloy pistons. 12 month unlimited mileage warranty .